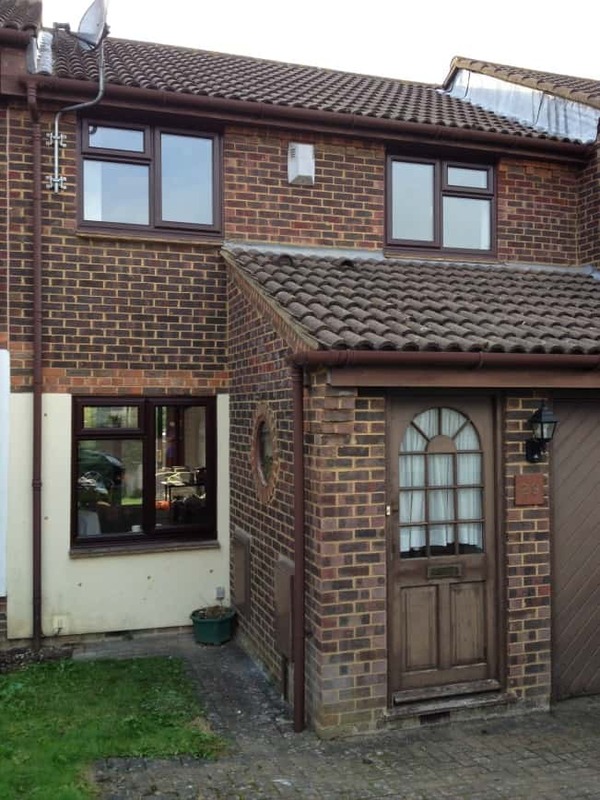 The windows in this terraced house in Tadworth, Surrey were draughty and needed replacing. 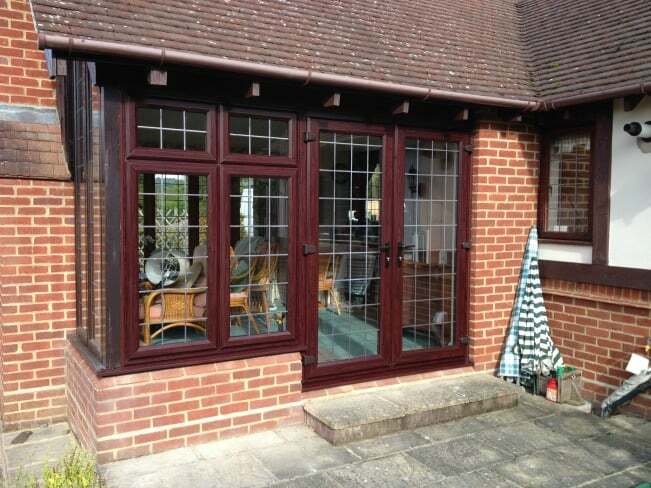 The customer choose Rosewood out/white in uPVC windows with Liniar profiles and we supplied and fitted six of these windows to the property. The house now benefits from energy efficient, double glazing for improved warmth and security. 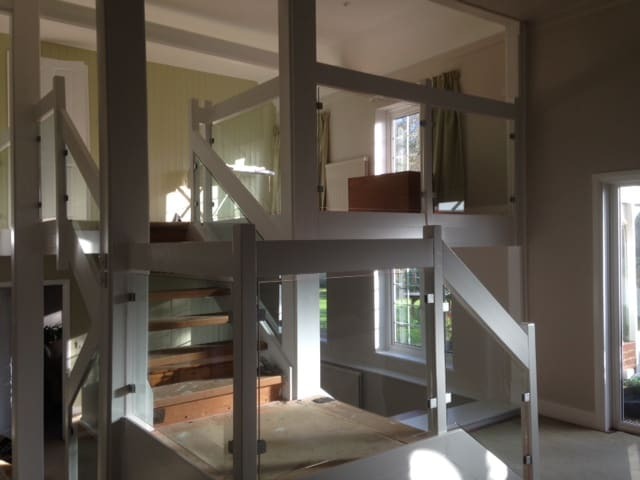 Our customer had an internal timber staircase and she was concerned about her young granddaughter falling through the large gaps. So she had a local joiner remove the central horizontal bars throughout the staircase and employed a painter to paint it white. We then installed 10mm clear toughened glass with polished edges into the brushed silver colour square balustrade clamps making the staircase very safe. 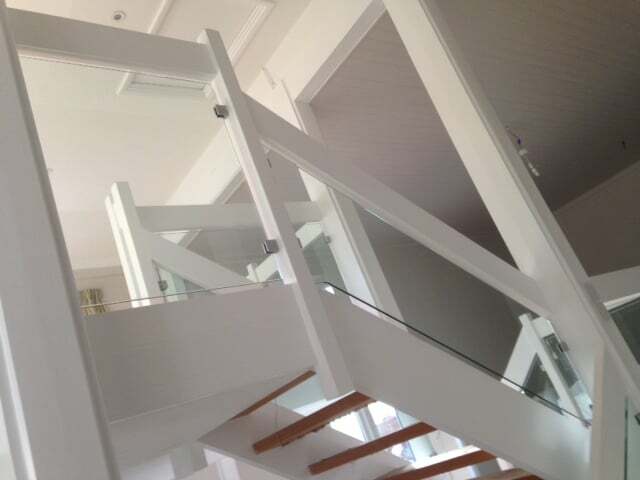 It also creates a really attractive feature staircase in her home. The existing front door was timber but was both draughty and insecure. Following a recent refurbishment of the front of the property our customer wanted a new, warm, low-maintenance and secure front door. We installed a new composite Nottingham style Golden Oak in and out composite door with Quad Red patterned glass and gold colour door furniture. The existing window was single glazed timber and was cold and draughty. We had been replacing all the windows with new uPVC double glazing over the last few years and this was the last window to be changed. 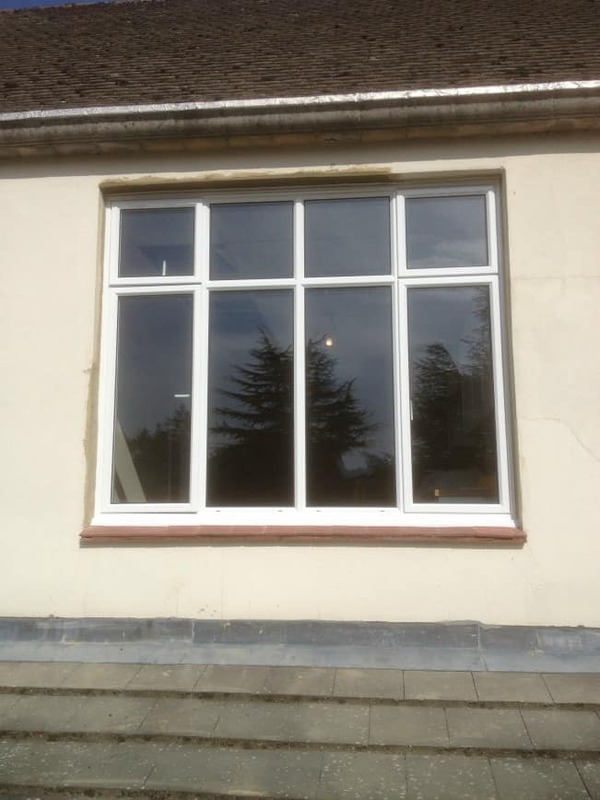 The house now benefits from energy efficient and more secure double glazing on all of its windows. 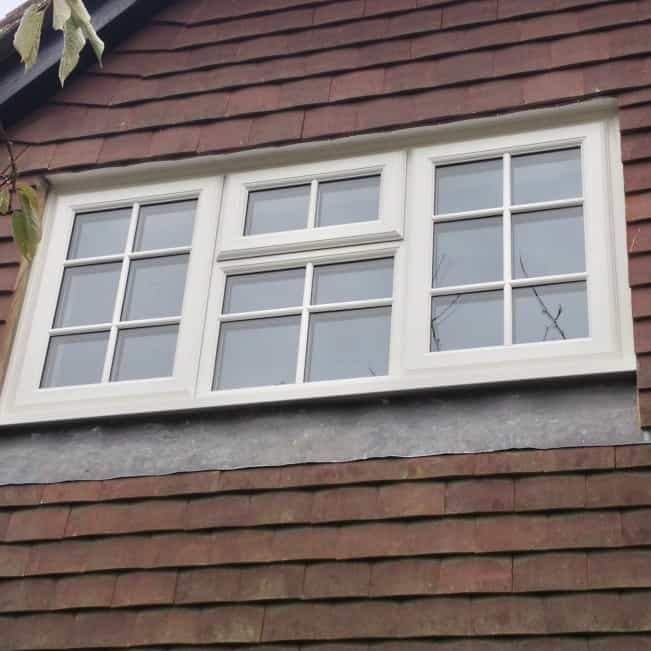 The customer had chosen white uPVC Liniar profile windows with surface mounted Georgian bars in keeping with the style of property and the other windows that had also been replaced. 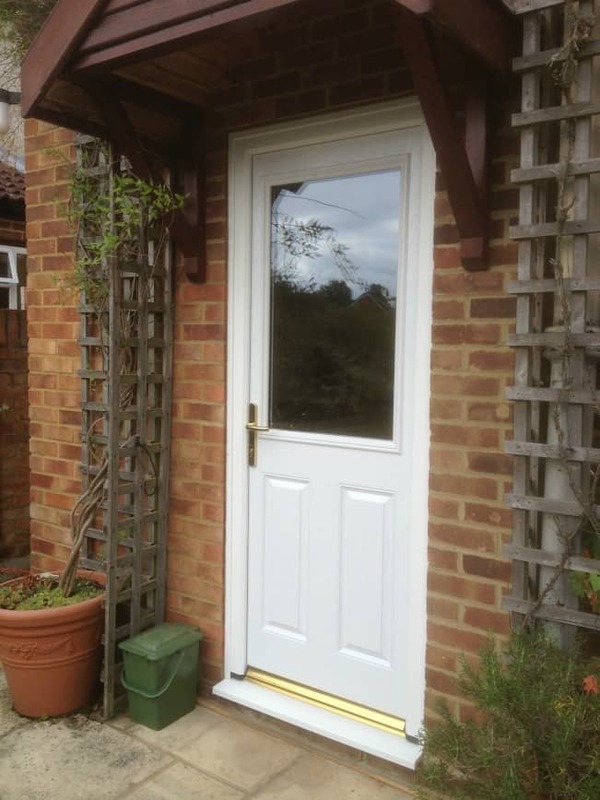 The customer’s property was in Reigate and their existing back door was a modern GRP composite door but it had been installed out of square so didn’t close or lock properly and was draughty. Our customer wanted an easier to live with and low maintenance solution. We supplied and installed a new white Liniar uPVC door with multi-point locks operated by chrome lever handles. 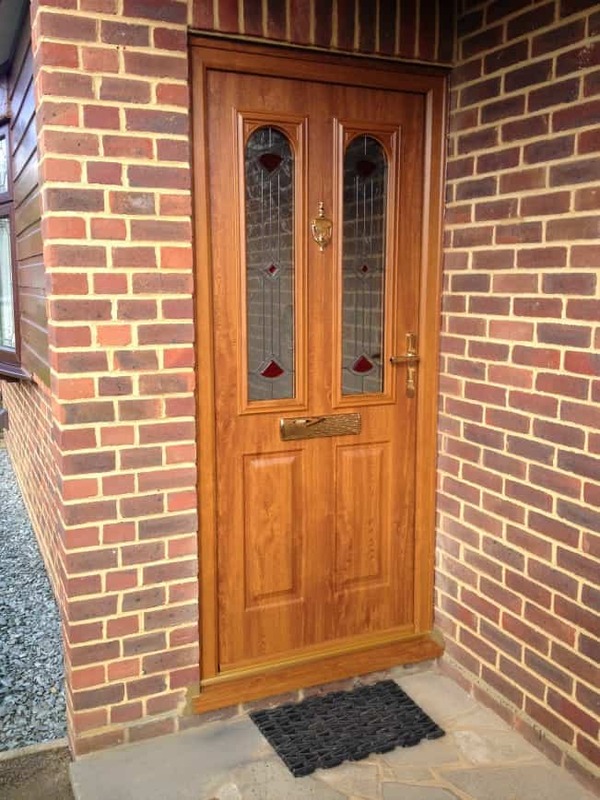 The customer’s existing porch door was a single glazed timber framed door. They were having the outside walls painted and wanted a more secure, low maintenance front porch door with double glazing. 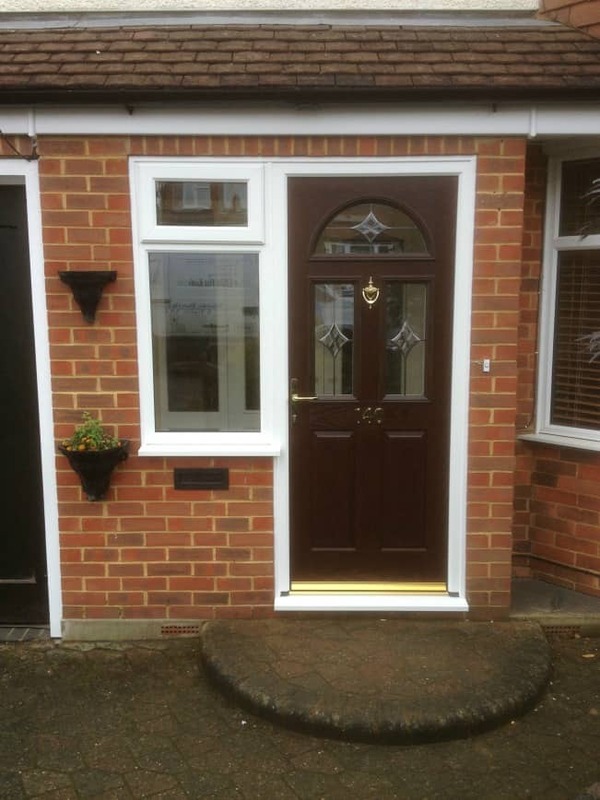 We supplied and installed a GRP composite front door darkwood out/white in together with one white uPVC side window. 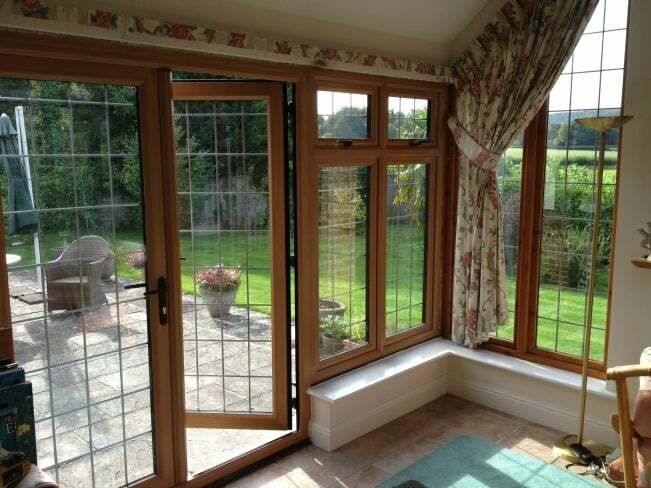 For Double Glazing Effingham, call Dorking Glass. The School were having some internal building work done and were knocking 2 dorms together to create a new staff flat. The existing windows were single glazed steel crittle, were in a poor condition and thermally very inefficient. They were difficult to open and close and were draughty. The head of maintenance at the school wanted strong, high quality, thermally efficient windows which could stand the high usage. Modern aluminium double glazing fitted the bill perfectly! We fitted 3 white powder coated aluminium windows with clear toughened glass and shootbolt locks, directly fixed into the brickwork. The existing back door was single glazed timber. The customer wanted to upgrade to a more secure, thermally efficient door which was easy to open in all weather conditions and required less maintenance. 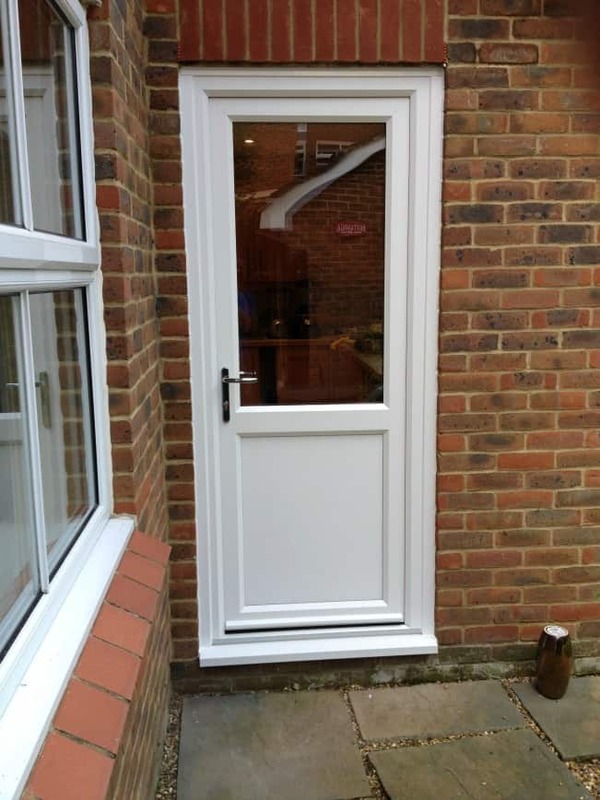 We supplied and installed a white in/white out GRP composite back door with gold coloured door furniture. 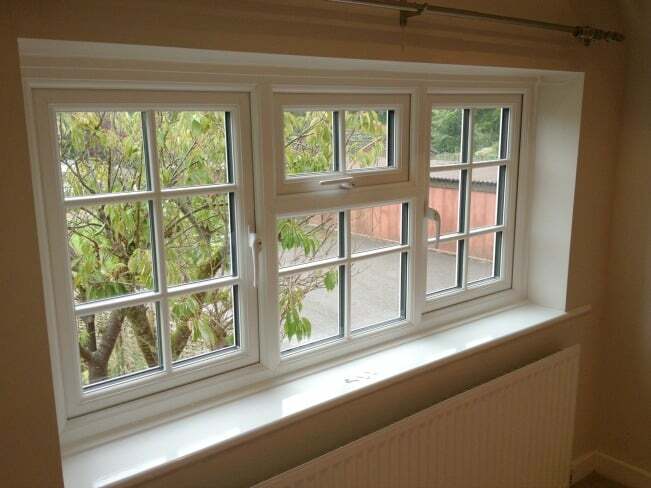 Our customer’s existing windows were single glazed, leaded light steel frames set within white painted hardwood sub-frames. The steel windows were rusty in places, difficult to open, thermally very inefficient, and were not very secure. 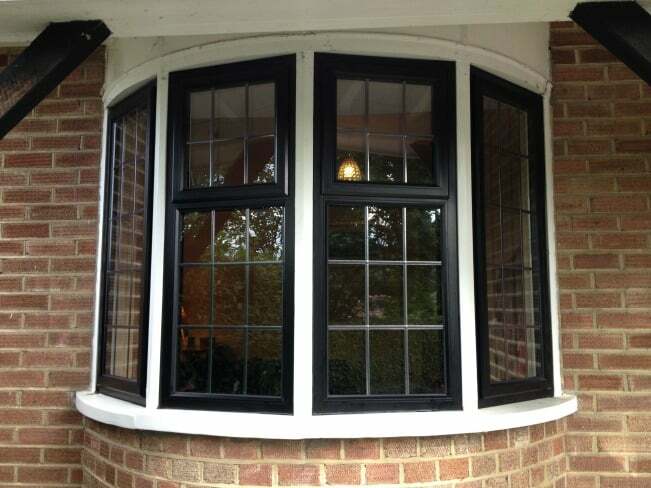 We fitted black out/white in, thermally broken powder coated aluminium window inserts within the existing timber sub-frames with leaded light effect, double glazing with a layout to match the remaining windows. So the customer could benefit from the improved security and energy efficiency whilst still retaining the overall look of their period property. This is an important consideration if you have an older property and wish to retain its character.